Media Outbreak is a website development and multimedia studio specializing in website design, website hosting, consulting, SEO and interactive presentations. We help guide our clients on how to maximize their online presence and ROI. Our team has tried and true web development process. Given our experience and specific expertise in design, usability, & SEO, we are confident that we can work with you to achieve your aims and goals. Once a client of Media Outbreak, you will be provided a project schedule, as well as receive updates throughout the project life-cycle. Each step of the process is supported by the appropriate documentation and will go through its own QA process. * Although this is our standard process, timeframes are flexible depending on the requirements and/or project scope. Contact us today for a custom solution for your business! We believe every business deserves a high quality, modern and affordable website. This is why we have created our affordable monthly plans that cuts any large upfront costs out of the picture. Our small setup fee and low monthly payments are attainable for small businesses. Media Outbreak employs award winning CMS platforms for our clients which use the latest design standards. We optimize your website to ensure it can be found in the search engines while also providing tracking tools to help keep you on top of your rankings and SEO efforts. We offer personalized consultation to each one of our clients ensuring your solution will work for you. 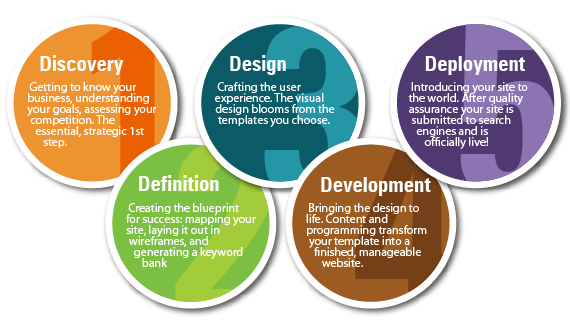 We can help you by offering a FREE website evaluation or by planning a new website from scratch. Whatever your scenario, we are here as your personal design partner! Contact us to get started!